PALMDALE – Local artists Karyl Newman and Larissa Nickel also known as the arts collaborative Hinterculture, are using artistic means to raise awareness and public engagement with the problematic issue of illegally dumped materials in the Antelope Valley. Their project titled: Desert Engagement: Hinder Swill Achieve Recycled Trash (DEHSART) combines prevention, awareness and outreach through artistic engagement and environmental education to cultivate social connections, collective action, and civic empowerment. The DEHSART project has launched a social media campaign at www.facebook.com/DEHSART and website at www.DEHSART.com. The ongoing program continues until October 2013, when a bilingual message will be chosen by the community to be represented in a public service announcement. Through small interventions of site specific public art, DEHSART is transforming the desert landscape and providing eco art educational materials to inspire change in the ecosystem, and to challenge the public to reconsider waste as a resource. The DEHSART project is funded by a grant from the Antelope Valley Illegal Dumping Task Force, made possible by LA County Supervisor Michael D. Antonovich’s Antelope Valley Office, Lockheed Martin, Waste Management, the City of Lancaster, and the City of Palmdale. “Everyone has the opportunity to get involved with problematic issues in their community, and as artists we want to do our part in transforming these illegal activities through our artistic and educational abilities,” Newman continued. The Task Force holds a free open forum at 3 p.m. on the second Wednesday of every month at the Training Center of Fire Station No. 129, located at 42110 6th Street West in Lancaster, to discuss and coordinate illegal dumping prevention programs in the Antelope Valley. The Task Force also provides numerous public resources, including a reporting hotline at 1(888)8 DUMPING and online information at www.STOPillegaldumping.com. 3 comments for "DEHSART: Transforming illegal dumping through artistic activism"
Maybe if waste management wasn’t so “Greedy”, people would be able to afford to use the dump. 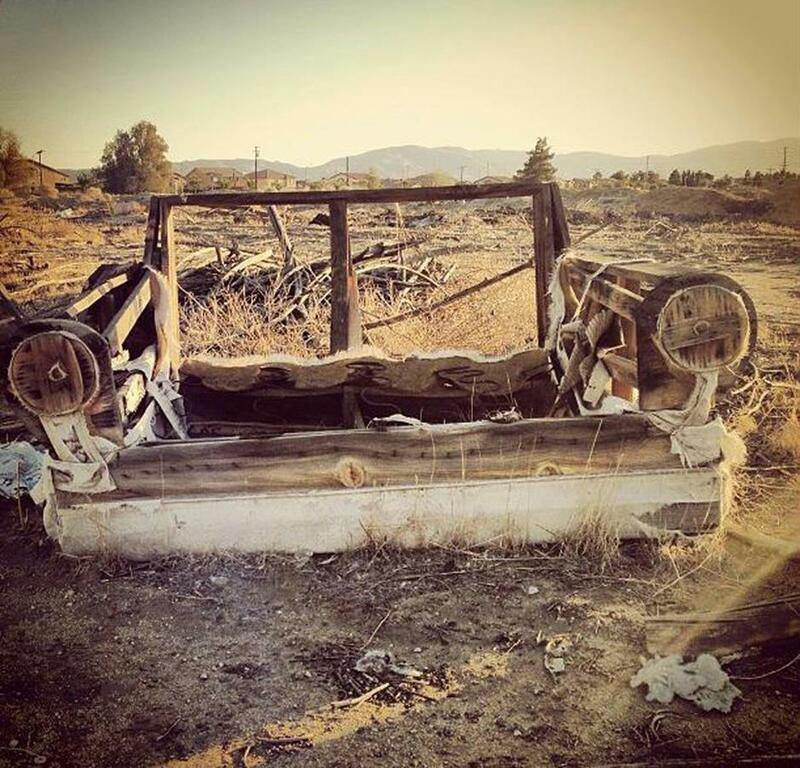 Rosamond’s dump is free. Rex needs to do something useful, instead of gouging us with the “Drone Fee’s” Lets make this Rex’s last term. Now this is the news that makes a huge in the community, something positive for us to focus, to much politics in our news that we forget whats more important. Mad props for these artist, I myself have seen quite a collection of garbage in the desert,and its rather interesting how we spotlight a silent issue and bring it to attention. There is a lot of this on flikr as well.